During The Game Award's presentation, BioWare boss Casey Hudson took the stage to reveal a new trailer for Anthem, as well as tease some more news soon to come. This footage focuses more on the narrative side of the action RPG. Check out the new Official Anthem Trailer from the 2018 Game Awards. Through the power of the javelins, skilled pilots called lancers were able to fight back against this perilous world. But a new enemy has emerged, seeking to harness the limitless power of the Anthem. And if they succeed, nothing will stand in their way. 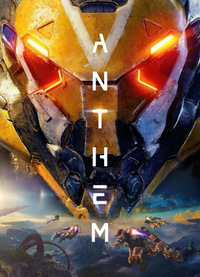 Anthem is set to release for PC, Xbox One, and PlayStation 4 on February 22, 2019. In case you missed it, you can check out live-stream recordings showcasing gameplay and customization.